We have put together a kit for you that includes our Bracket and a High Quality, Stainless Steel Model A Light with STOP Glass Lenses. 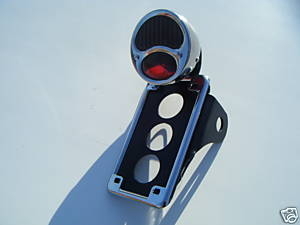 These are the highest quality reproduction Model A lights available! 1/2" is shock mount for Harley's & all Sportster models!